Join Emma and Karen as they share their journey as Thermomix ® Consultants. Thermomix ® gives you the opportunity to work for yourself as an independent Consultant in a business that offers fun, freedom and flexibility. Our Consultants show customers how to use this revolutionary machine at demos and cooking classes around the country. 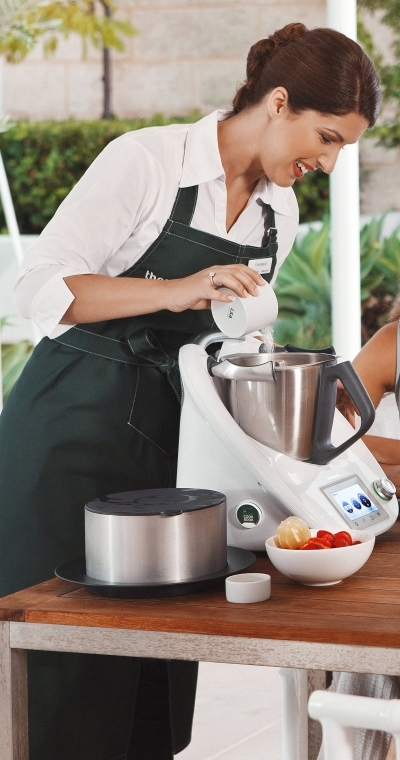 As a Thermomix ® representative you will receive ongoing training and support, attend cooking classes, receive regular newsletters and have access to a local support system of fellow Consultants. Turn your passion for food into a great full-time or part-time business income while participating in our fantastic promotions, including our annual ThermoFest and Emerald Class incentives. Make a difference and do something you love. To get started, contact your Consultant, complete our online form or call Head Office at 1800 004 838. The best part of my role is that I get to support my team of Consultants. Watching them unlock their true potential is an absolute privilege. I get a buzz out of it every single day.